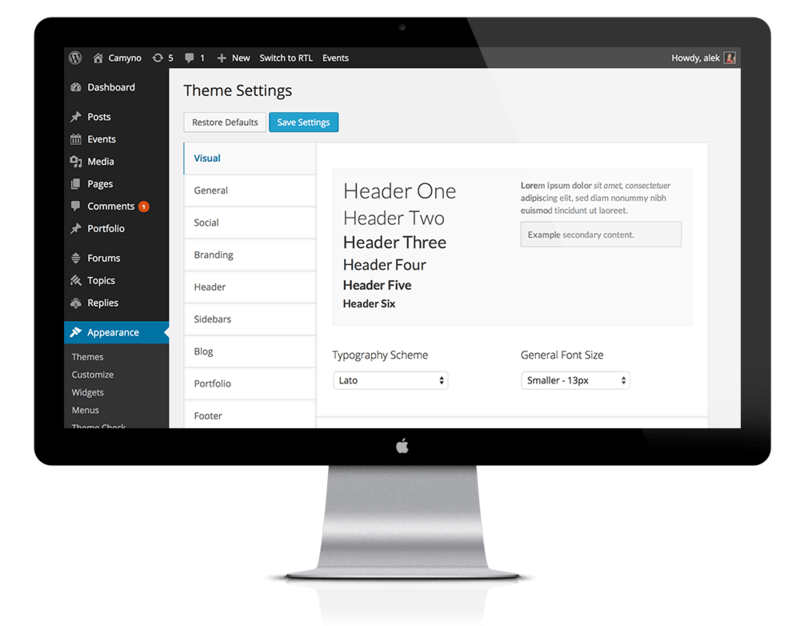 Camyno includes an easy to use typography customizer which requires only two settings. One of which controls which one out of the 18 included high quality typography schemes you wish to use, and the other controls the typography size of the entire theme. Camyno includes 18 predefined typography schemes from all font families, making the task of finding the perfect typography easier than ever. The typography schemes use Google web fonts with web safe fonts as a fallback to maximize performance and availability of each font face. The included typography schemes have all flavors of typography covered, so you’ll be able to easily find the perfect look for your website. Every aspect of Camyno has been designed around the typography, meaning that all the content will scale up or down with the typography.